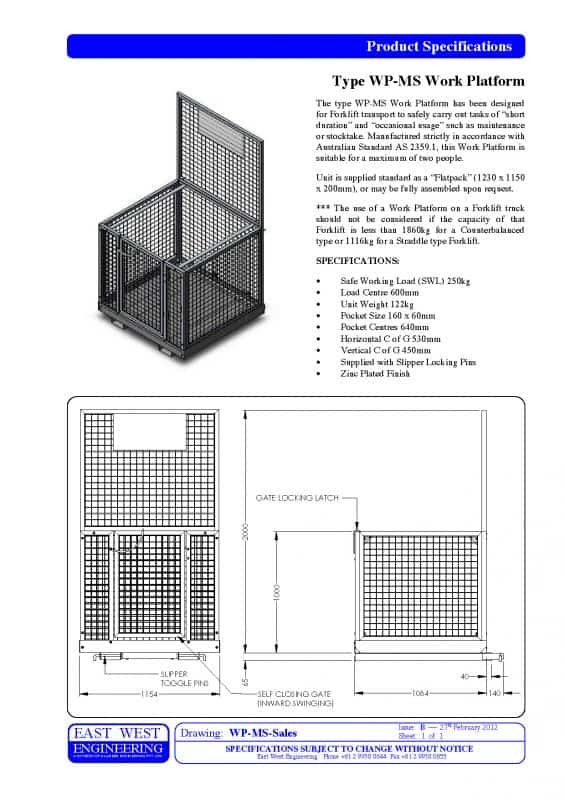 The type WP-MS Work Platform has been designed for Forklift transport to safely carry out tasks of “short duration” and “occasional usage” such as maintenance or stocktake. Manufactured strictly in accordance with Australian Standard AS 2359.1, this Work Platform is suitable for a maximum of two people. 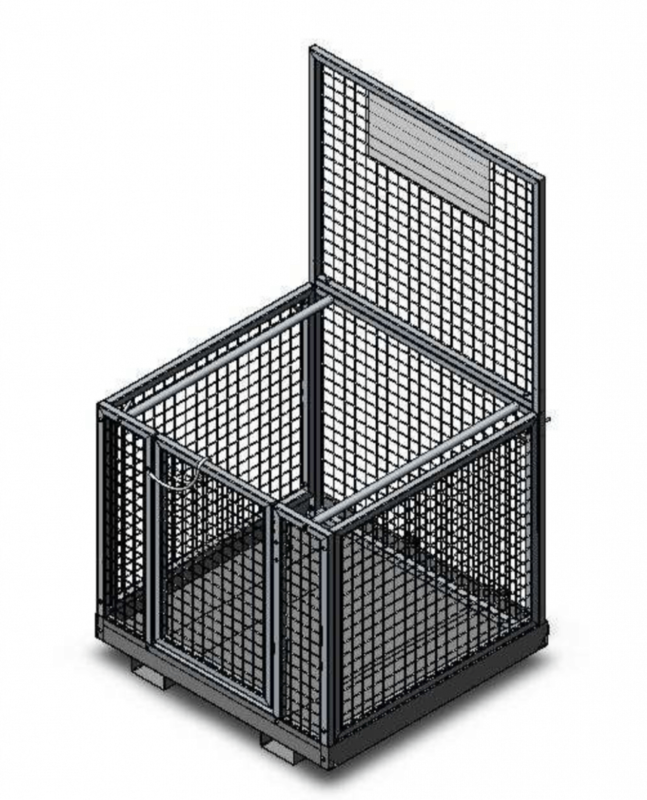 Unit is supplied standard as a “Flatpack” (1230 x 1150 x 200mm), or may be fully assembled upon request. *** The use of a Work Platform on a Forklift truck should not be considered if the capacity of that Forklift is less than 1860kg for a Counterbalanced type or 1116kg for a Straddle type Forklift.